Stomahesive Paste can also be applied to the skin around your stoma. 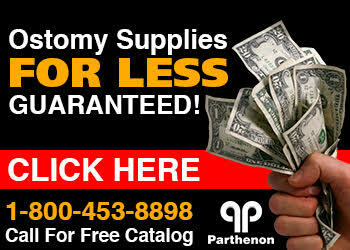 To do so simply prepare the skin as you would normally when putting on your ostomy appliance. 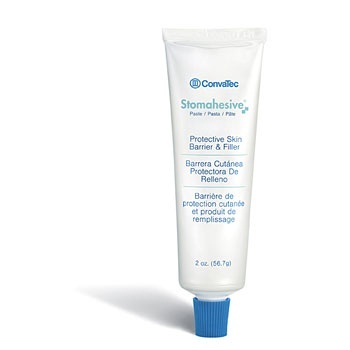 Apply enough paste on the skin to cover exposed skin between the skin barrier and the stoma. To fill a crevice and create a level pouching surface, apply Stomahesive Paste on the uneven surface, scare or crevice. Wet a finger and then you can manipulate the paste to better smooth it out. The water will keep it from sticking to your fingers. Then apply your ostomy skin barrier over the stoma and apply pressure over the barrier around the stoma. Pressure will also cause Stomahesive paste to rise up around the stoma for an additional seal.